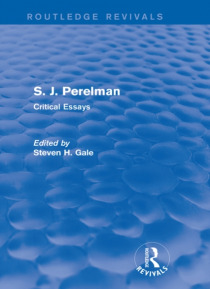 First published in 1992, this book focuses on the oeuvre of S. J. Perelman. Taken together, the essays included serve as an introduction to this important humorist's work, both in terms of the specific short prose pieces, plays, and films examined and as an overview of his lengthy professional career. They provide insightful and in-depth literary analyses as well. The work encourages a better appr… eciation for Perelman's contributions to American literary history.